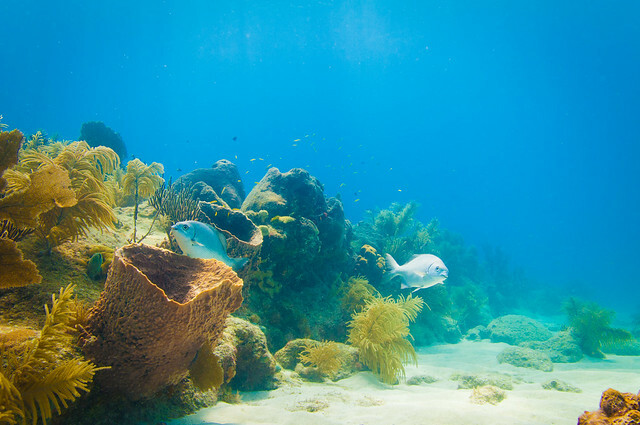 Caribbean reef sharks, banded butterflyfish, and amazing coral make for another great day at Looe Key National Marine Sanctuary. A few Bermuda Chubs swimming around a vase sponge. 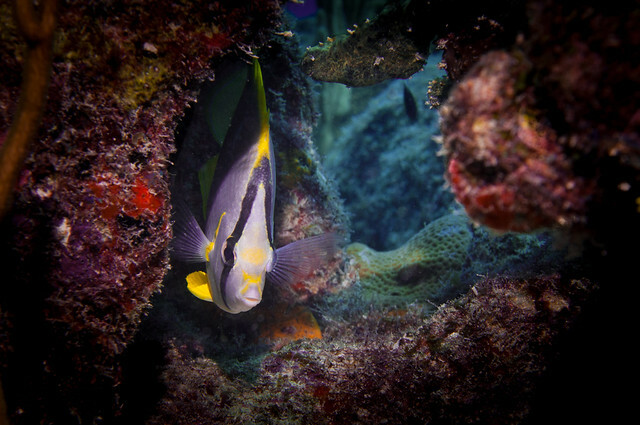 A banded butterflyfish plays peek-a-boo with me among the coral. 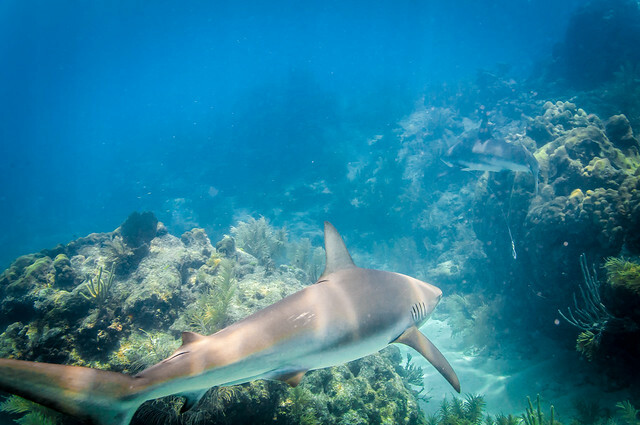 A Caribbean Reef Shark follows another one that has a long fishing leader hanging from it. One of the reasons I don’t use stainless hooks when I fish, regular hooks dissolve much faster in salt water and don’t get dragged around by fish for a long time. 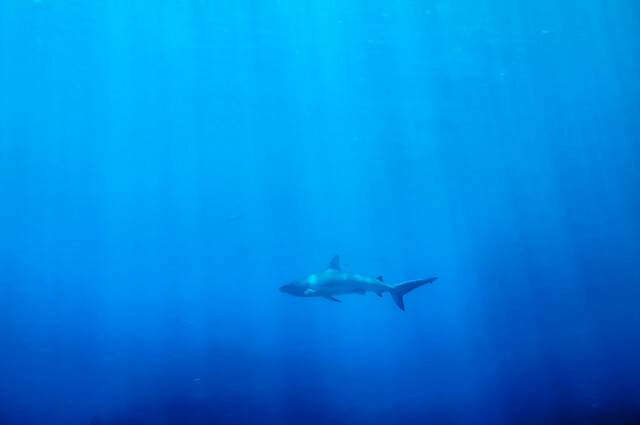 Mother Nature’s perfect predator in the deep blue.